Then Thickens have announced their second album ‘Colic’, is to be released 23rd October 2015 via Hatch Records. The Chorley-based band are also streaming their huge new single ‘My Amsterdam’, as well as a new video for the track. ‘Colic’ is a crude and real album, while a little exaggerated in parts it features a mix of characters and real people throughout the story telling. Upon reflection the album can seem a little dark, but there are strong melodies throughout which juxtapose the lyrical themes. 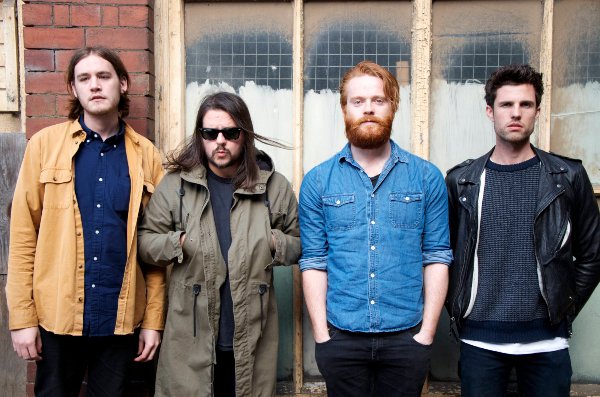 ‘Colic’ follows their acclaimed 2014 debut album ‘Death Cap At Anglezarke’. Then Thickens’ new album has been supported by the Momentum Music Fund. Momentum is managed by PRS for Music Foundation, supported using public funding by National Lottery through Arts Council England, and in association with Spotify. Then Thickens began as a bedroom project for Martin, formerly of masked noise-mob KONG. Following encouragement from close friend Jorma Vik from The Bronx a series of lo-fi recordings appeared online, before expanding into a fully fledged act, along with members Charlie Hartley, Sean Doherty and Thomas Griffin.